The Citadel Ragusa Weekend Regatta 2015, organised by the Royal Malta Yacht Club with the assistance of the Porto Turistico Marina di Ragusa, will be held between Friday 26th June and Monday 29th June 2015, enabling crews to make most of the forthcoming L-Imnarja long weekend. With four days of sailing in international waters and the possibility of competing against Italian crews, this weekend is highly anticipated by our local crews. Racing will kick off on Friday 26th June, in the morning, with a passage race from Malta to Marina di Ragusa. During the weekend, whilst in Ragusa, crews have the opportunity to enter the Trofeo Achille Boroli Challenge or the Hyblea Cup which are a series of races organised by the Circoli Velici Iblei with whom the Royal Malta Yacht Club has collaborated for a number of years. 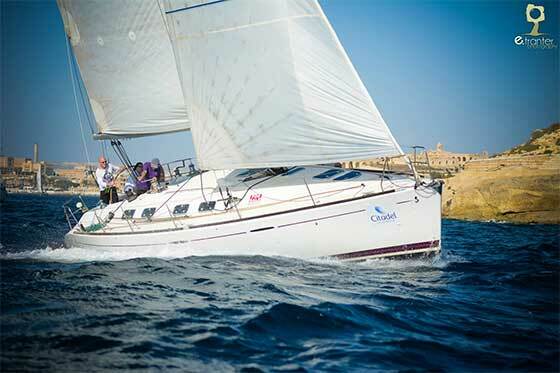 The Citadel Ragusa Weekend will come to an end on Monday 29th June when boats will undertake a passage race back to Malta. A Prize giving ceremony for crews, members and friends will take place on Friday 3rd July at the Royal Malta Yacht Club. Interested Crews are reminded that registrations will be accepted until Wednesday 24th June at 7:30pm. The race is sponsored by Citadel Insurance who provide a comprehensive yacht insurance policy which includes a number of innovative free add-ons. Regulated by the MFSA, Citadel offers a full range of insurance solutions including home, motor, life, business and travel insurance. For more information visit www.citadelplc.com .